Our research aims are mainly focused on the design, synthesis and application of molecular containers. We work in the synthesis of water soluble calixpyrrole structures and the study of their binding processes in aqueous media. This constitutes the starting point for further understanding more complex biological molecular recognition processes. The study of photoresponisve molecule capsules is another area of our interest. By using calixpyrrole and calixarene receptors bearing azo functionalities we are able to control the assembly and disassembly of molecular capsules. We pursue the control of cargo release by external stimuli i.e. light. 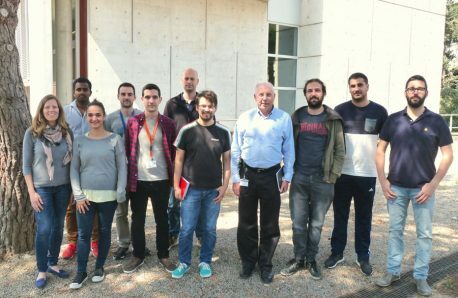 Finally, we also dedicate some of our efforts to collaborate with other research groups working in the area of sensing devices. 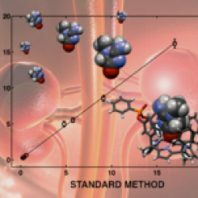 We want to apply the receptors prepared in the group for the development of sensing devices that can be used for the detection and quantification of clinically relevant molecules in real biological fluids (e.g. creatinine). J Phys-Condens Mat, (2016). 28 (38). 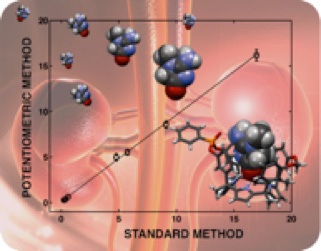 Creatinine sensing using monophosphonate bridged calixpyrrole as ionophore.